According to unitedegg.org, "table egg export quantity for the first 2 months of 2015 was 29.58 million dozen, up 30 percent year–over–year, export value reached $31.0 million." These staggering numbers indicate increased use and popularity of eggs, despite the short-lived stigma of eating eggs leading to high cholesterol. Considering the sheer number of eggs sold in the US each year, better means of delivery had to be considered. Meer aprons and baskets weren't going to be enough. Enter the egg carton. Whether you purchase eggs at a grocery store, convenience store, or farmers' market, they are almost definitely packaged in either a Styrofoam or paperboard carton. Paperboard cartons are "manufactured from recycled paper and molded pulp by means of a mechanized paper-mâché process." Comprehensive research has been done by a northeastern US grocery store chain called Wegmans who has found that paperboard egg cartons are not necessarily as environmentally friendly and easily recyclable as it may seem. 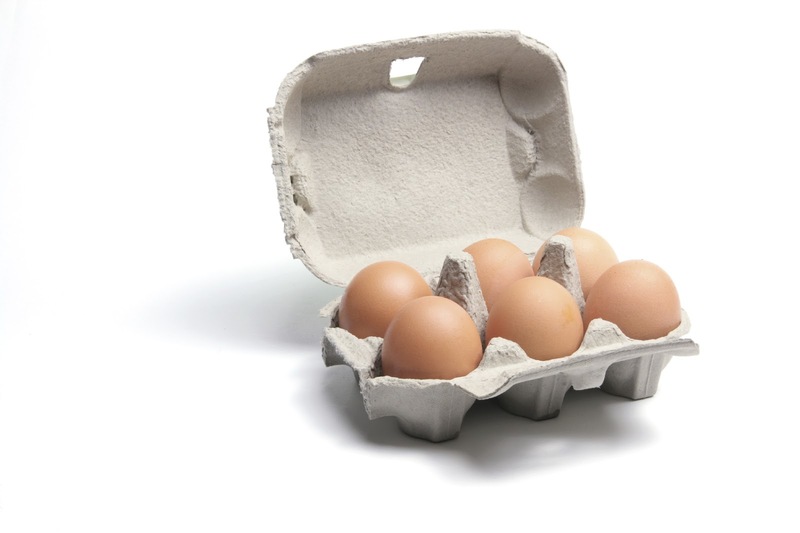 Both Polystyrene and paperboard egg cartons have their upsides and downfalls. Check with your local recycling center to determine if they accept each type of egg carton material.